Creating equitable space is an important part of Family Living Educator Lilliann Paine’s role in the community. What is the role of UW Extension in the Community? What do Extension Educators actually do? We are exploring these ideas in our Extension At Work series. This article focuses on the work Family Living Educator Lilliann Paine has been doing to create a coalition with the Urban Economic Development Association and other community members that will build equity and financial capability in our communities. This month’s article is written by Lilliann about her work and how she builds equitable spaces. For a collaborative to be sustainable over time, participants need to go through a facilitated process where common interests and key barriers are identified and discussed together. From March 2017 – December 2017, I was contracted by Urban Economic Development Association (UEDA) to plan and facilitate four to six meetings of community-based organizations, financial institutions and other partners to discuss forming a collaborative. As an Extension Educator, I wore many hats and I provided accountability. Put Relationships First—we worked to build community and trust with an awareness of power dynamics specifically for the ideological stance that poverty is a mindset. Keep Focused on Our Common Goal—we strove to recognize systemic barriers and individual challenges, while creating connections to resources to overcome those barriers. Create Spaces for Multiple Truths and Norms—economic disparities are closely linked to racial disparities. In Milwaukee, this closely overlaps with communities of color and neighborhoods that are consistently under-resourced. Practice Examining Racially Biased Systems and Processes—reminder that individual actions are important, and systems are what are left after all the people in the room leave. Look for Learning—encouraging participants to have a growth mindset. The principle aim of FCC was to operate within a collaborative structure that encourages innovation, and increases the impact of organizations providing financial capability services to individuals and families in the Greater Milwaukee area. Economic disparities are closely linked to racial disparities. 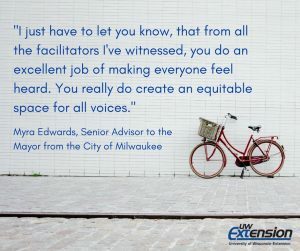 In Milwaukee, this closely overlaps with communities of color and neighborhoods that are consistently under-resourced. Early on, participants of FCC articulated the desire to work with an awareness of policies that lead to negative racial impacts. By October 2017, the group had reached consensus on the vision and purpose, and we collectively refined the statements. A ranking activity was developed to finalize goals, objectives and key work areas for 2018. As a subject knowledge expert, I put together vision, mission and values statements for the collaborative, and the “financial capability collaborative” became the Financial Equity Group (FEG). FEG is positioned to leverage the relationships of several organizations working within the financial sector. While the Alliance for Economic Inclusion (AEI) works to expand economic opportunity for Milwaukee-area residents through transactions accounts, the FDIC sponsors the AEI and their scope is limited as a Federal regulator. Additionally, there are emerging efforts in Milwaukee that could gain traction and resources through a collaborative structure. For example, UEDA and Guaranty Bank has talked with Cities for Financial Empowerment about Milwaukee forming a Bank On coalition that would offer “safe accounts” to assist low- to moderate-income status individuals with accessing mainstream financial services. The City of Milwaukee has been working to develop a citywide Children’s Savings Account program. We presented the FEG at the December 2017 Alliance for Economic Inclusion meeting, to gather input and new participants to move forward with the work in 2018. 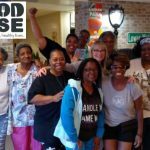 FoodWise started a new program called StrongBodies to help older adults stay helthy and strong. Read on to learn more. 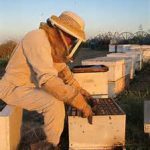 Milwaukee County UW-Extension will be offering the 2018 Beekeeping for Certification Program April 25th – September 2018. Read on for more information and details on how to register.